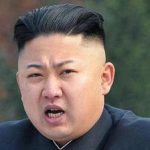 An AP report described as “a rare if not unprecedented move,” a purported statement1 by Kim Jong-un, the chairman of the State Affairs Commission of the Democratic Republic of Korea, in response to United States president Donald Trump’s bullying speech to the United Nations earlier this week. The response was relayed by DPRK’s state news agency KCNA. [F]ar from making remarks of any persuasive power that can be viewed to be helpful to defusing tension, he made unprecedented rude nonsense one has never heard from any of his predecessors. I’d like to advise Trump to exercise prudence in selecting words. Yet Kim described Trump as a “political layman,” “political heretic,” “a rogue and a gangster fond of playing with fire,” and a “mentally deranged US dotard.” Was this exercising prudence in selecting words? Was it helpful in defusing tension? Do such remarks have “any persuasive power that can be viewed to be helpful to defusing tension”? A colleague informed me that at first blink he considered Kim’s response “intelligent.” I demurred. Trump’s words were indeed undiplomatic, foolish, and uninformed. Nevertheless, in this case fighting fire with fire is the wrong response. Kim Jong-un would have been better served by taking the high road to defuse tension. One should not respond to Trump’s undiplomatic insanity with additional undiplomatic words. In this vein, I humbly submit a proposed response to defuse tensions, improve the DPRK’s standing in the eyes of the world’s people, and lay the foundations for a peace treaty. Much has been said and written about myself, the Democratic Republic of Korea, and threats to the world. Insults about myself, I can let slide. My primary concern and responsibility is the safety and well-being of the people of the DPRK. Let me make crystal clear that what DPRK seeks is peace. The DPRK considers this an imminently reasonable request, a request that is in line with being a non-threatening, peace-loving nation. Yet the United States refuses this request. Why? Why is the DPRK construed as a threat when it asks for a peace treaty? How should the DPRK view the US refusal of such an overture? The DPRK is led to conclude that given the fact that the US desires to maintain a state of war, given that the US continues to conduct war maneuvers with “decapitation” as a goal, given that the US is nuclear armed and has used nuclear weapons, given that the US refuses its obligations as outlined under Article VI of the Treaty on the Non-Proliferation of Nuclear Weapons to “undertake to pursue good-faith negotiations on effective measures relating to cessation of the nuclear arms race, to nuclear disarmament, and to general and complete disarmament,” given the destruction the US has historically wreaked on the DPRK (although the DPRK has never attacked the US), given that the US destroyed fundamentally disarmed states such as Iraq and Libya in which the leaders were executed in macabre fashion, and given that the US split the Korean peninsula … then the only prudent action the DPRK could take is to provide itself with a deterrent for the protection of the Korean populace. This is the solemn duty of any responsible government and any responsible leader anywhere. It is one I must not shirk from. The DPRK does not seek confrontation with the US or with the American people. The DPRK seeks peace. Therefore, I call upon president Trump to enter a fair, respectful, good-faith dialogue committed to the establishment of peaceful relations between the DPRK and the US. I also implore our brothers and sisters in the Republic of Korea to help defuse tensions. Should the US government insist on maintaining a state of war, then there is no reason why Koreans should be pitted against Koreans. We must never again fight each other. We sincerely call upon our brothers and sisters in the ROK to deescalate tensions and enter into a new era of peaceful cooperation and prosperity. This article was posted on Saturday, September 23rd, 2017 at 10:43pm and is filed under Donald Trump, Korea, Language, North Korea, United Nations.